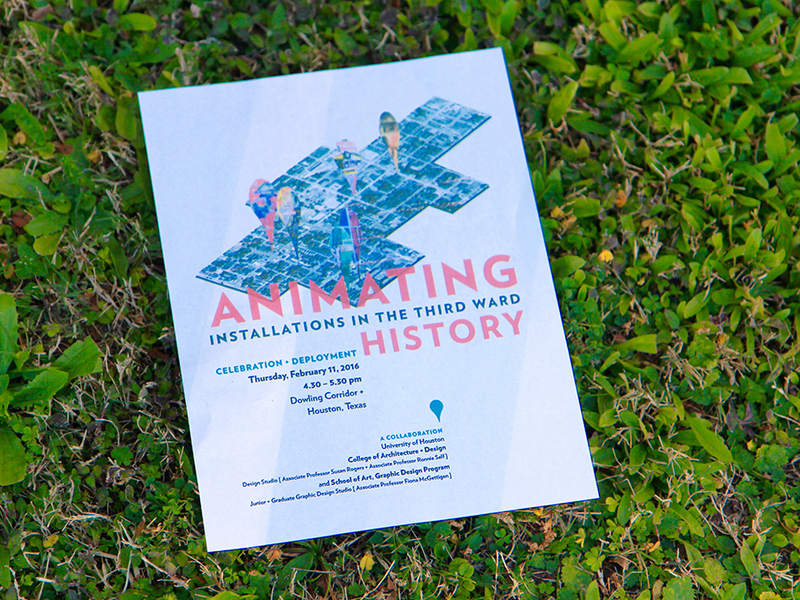 Public art/installation project collaboration between UH Graphic Design and Architecture students. 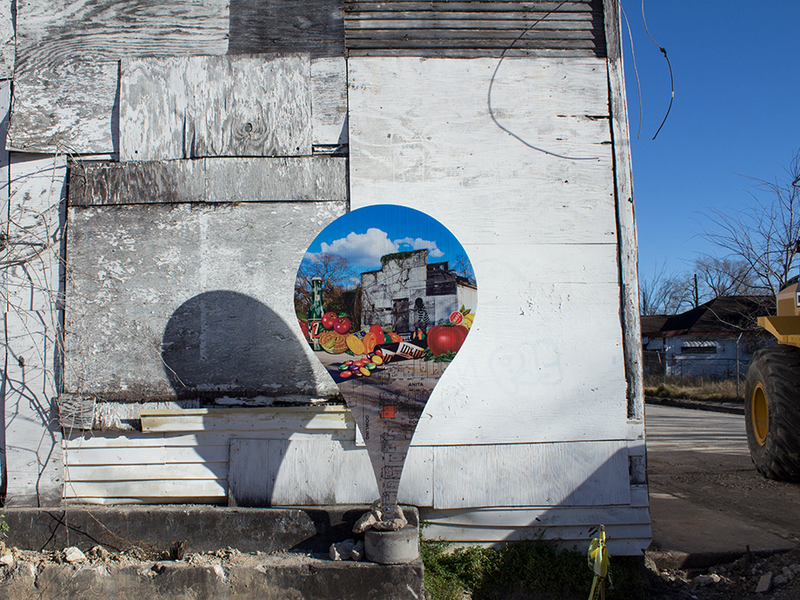 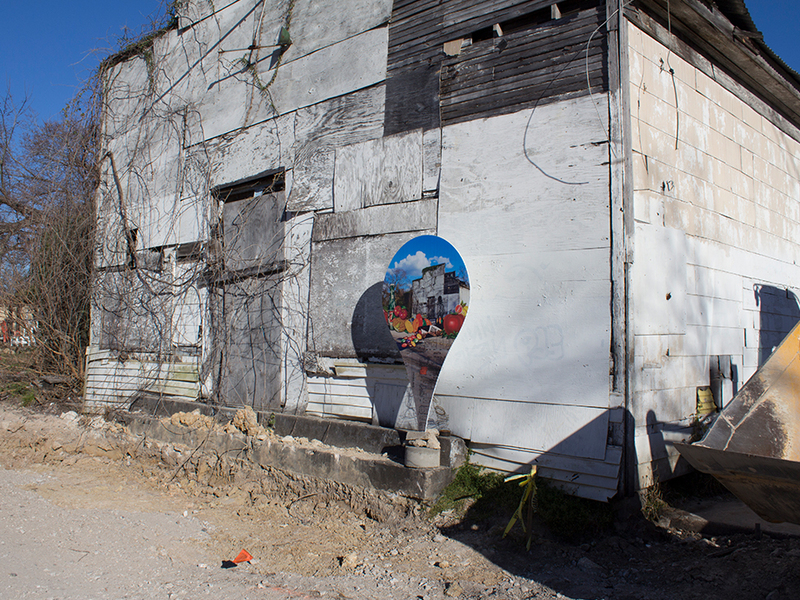 The goal was to re-animate historic sites in the Emancipation Economic Development District of Houston. 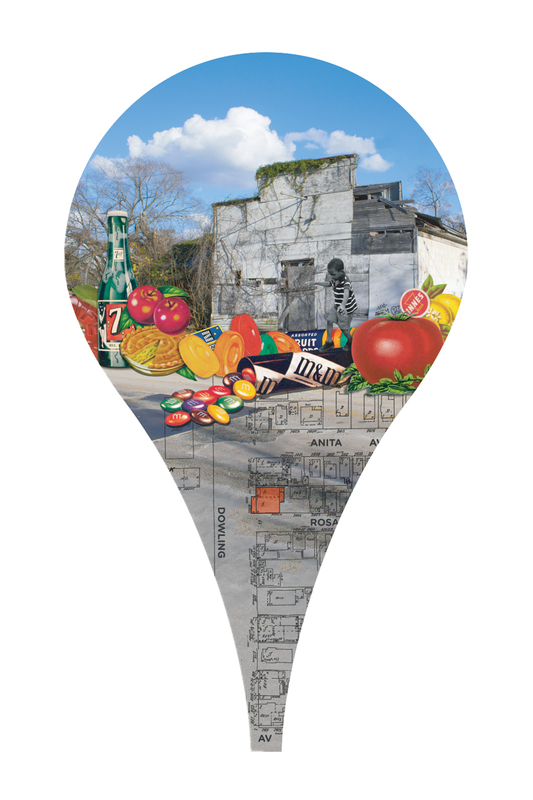 By blending research and field observations we created a visual narrative of a specific site’s identity in the form of a six feet high “map pin.” The pins were then placed in the environment and left to spark critical discussions and reviews relevant to the community.